Real estate investing involves the purchase, ownership, management, rental and/or sale of real estate for profit. In the case of Greece, the investment will make sense in the long term as the market is in depression and values have dropped by 30% – 40% even 50% in some cases. Based on our assumptions appreciation of values will come again, at one point in the long term and will be in favour of those who were owners and had the power to wait or of those who have made a clever purchase at the low prices of the existing market. Ioakimidis-Estates group has a variety of true real estate investment opportunities in it’s portfolio. 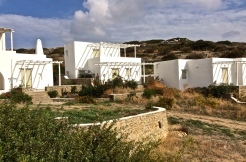 Depending if you seek an immediate cash flow return on investment from a property in Greece, or a potential cash flow return on investment and a long term value appreciation from a commercial building in Paros or a unique property with unlimited potential value our group can fulfil your demand.